Mei Hwa (Beautiful Flower) Elementary School (美華國小) is located in a remote, rural area in Daxi, Taiwan. Most its students are from poor, indigenous, skip-generation and new immigrant families. 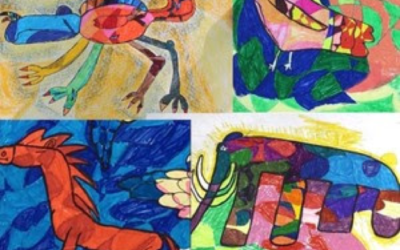 In response to dwindling energy at the school, and a three-year drop in student population from 108 students to 43, the school invited Lily Yeh to lead a revitalization project through art. 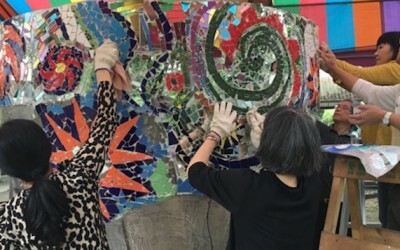 Over the course of ten months, working closely with the Mei Hua Principal and Zizhuo Shi, the sponsor, organizer, and leader of the project, Lily guided the content and activities of the Awakening Creativity program with the goal to create a large piece of public art on Mei Hwa campus. Through the program, she also sought to empower the school community to view deficits as opportunities, to envision change, and to take action. 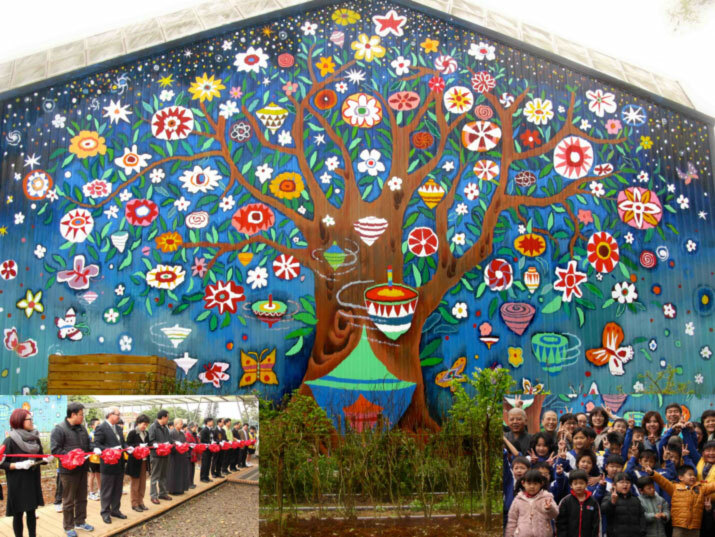 The result of their work together is the three-story Mei Hwa Gyro Tree of Life mural, which was completed in March of 2015.